[Head] Malling, 12 Feb. 1781; [Tail] Town Malling 11 Feb.1781. Piece of paper, 18 x 10 cm, bottom edge irregularly cut, good condition. 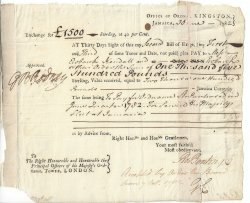 Text: Sir | Three days after Sight be pleased to pay Mr Richard Grover or Order this Sum of Eleven Pounds four Shillings for Value received by Bill for Mr Archd Duff from Sr | Yr humble servant | Wm Perfect." 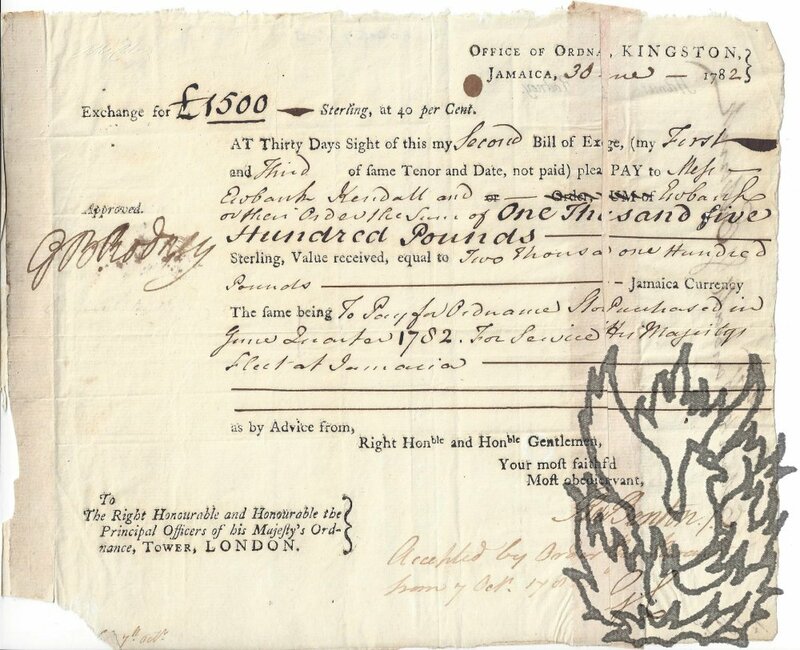 Followed by (possibly in different hand) "James Gordon Esq: Bury Couret | St Mary Axe London. | No. 14. On verso, signature of Richard Grover and "witness for Mr Leach | J Williams." Pencil note aded "Wine Merchant", but "The Tradesman" of 1808 records a Richard Grover, Grocer, in Town Malling.